There is something about those funky little mirrors on the front of that long sweeping hood that strikes a fundamental chord at the root of our car loving souls. Maybe that's a bit over the top, but you catch our drift. 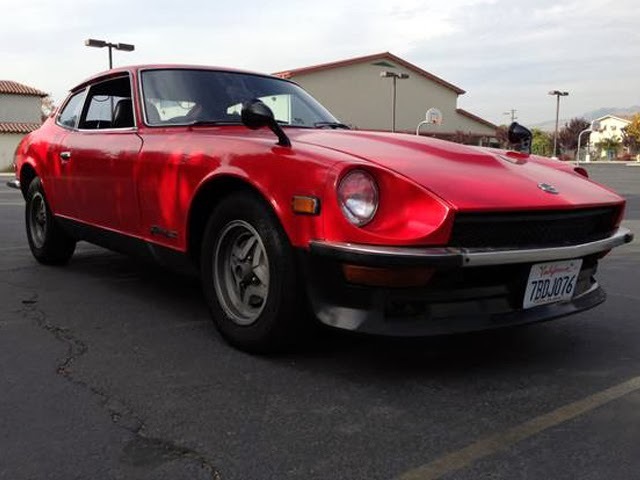 Since it's inception in 1969, the Datsun Z line has always held a special place in the sports car market, due largely to it's rare combination of good looks, performance, and affordability. 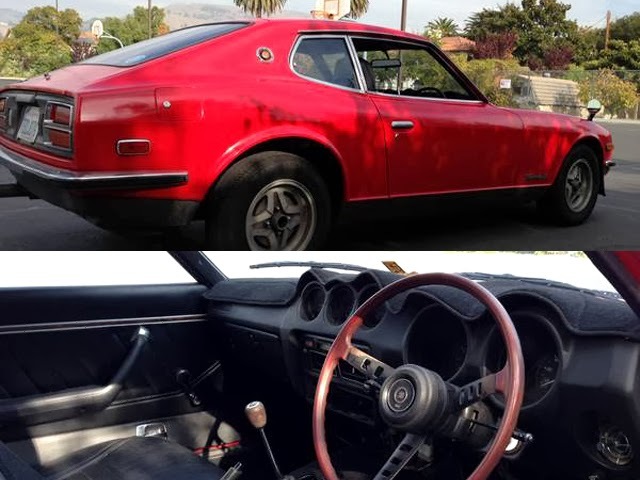 This right hand drive Japanese market 280z is a prime example of everything a mid-seventies Japanese sports car was intended to be. If you love vintage Japanese cult classic cars, you owe it to yourself to at least go stand in front of this one. Find it here in San Jose, CA for a very reasonable 10k (we're assuming) American dollars. The younger brother of the iconic 240z and 260z, the 280z picked up a couple of neat tricks along the way, including a larger 2.6L engine and a more reliable jetronic fuel injection system. And since it's a Japanese spec car, we don't have to worry about those ugly 5 mph bumpers. Check out this video from Petrolicious as well, it's a great reminder of just how special these cars are.